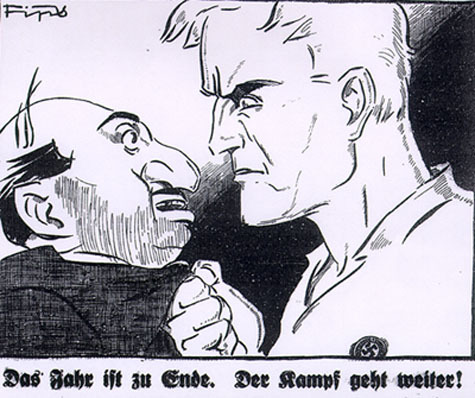 Background: Julius Streicher founded Der Stürmer in 1923. 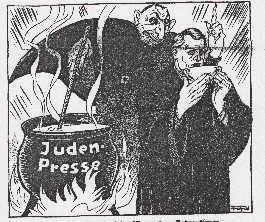 It was distinguished by unrelenting anti-Semitism. 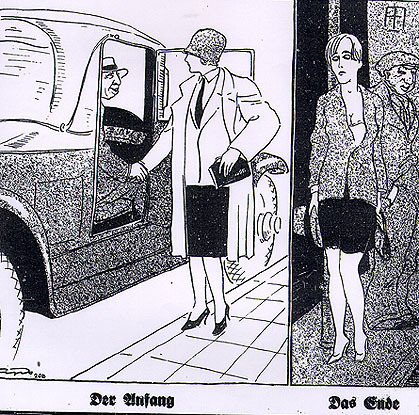 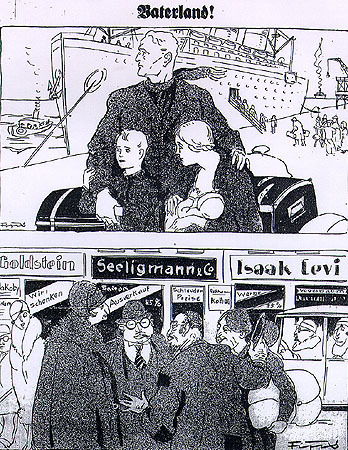 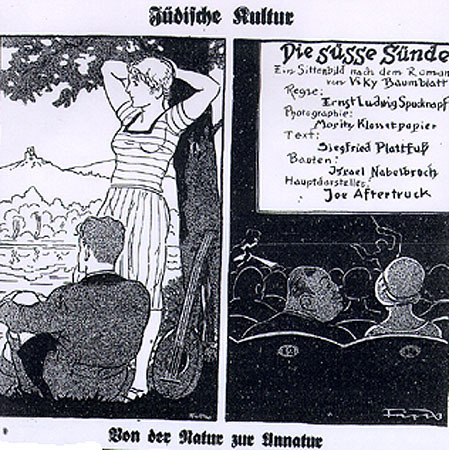 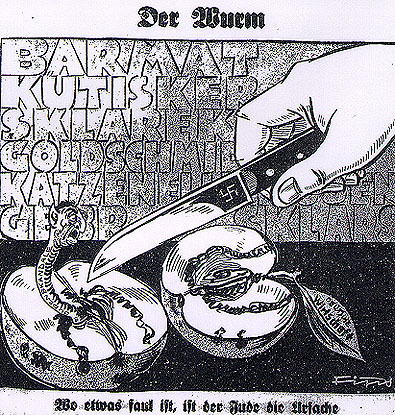 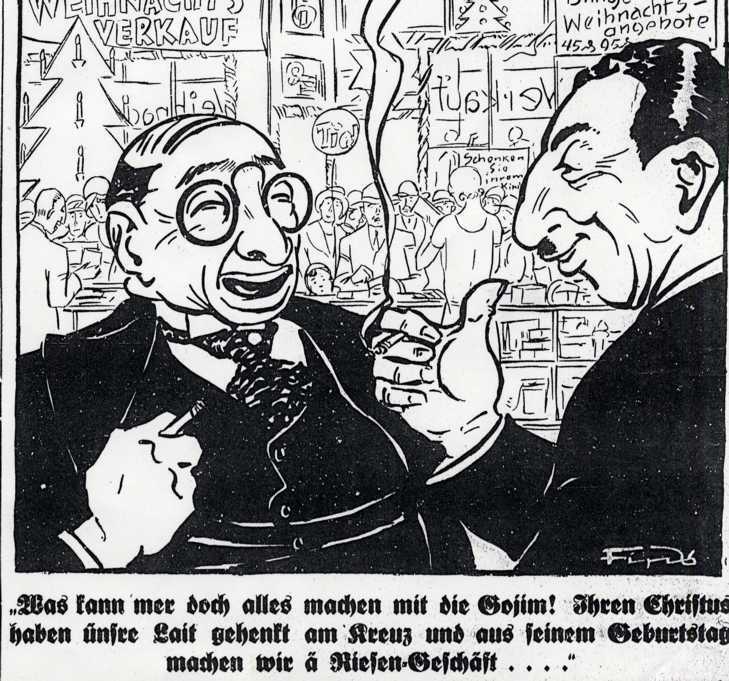 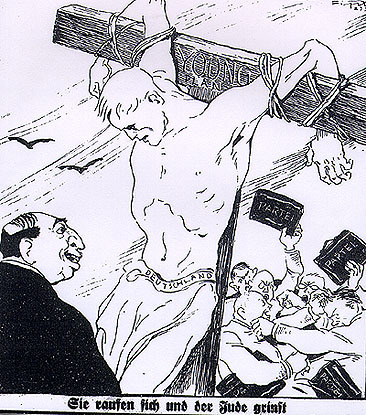 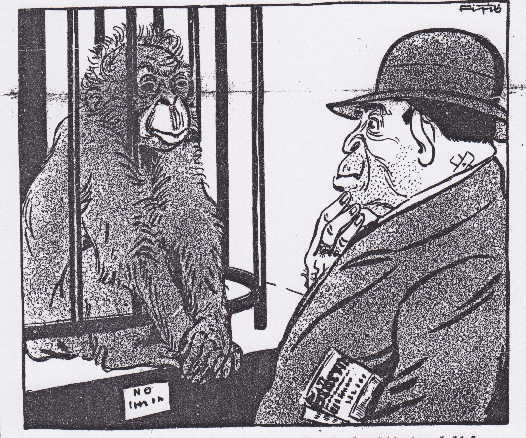 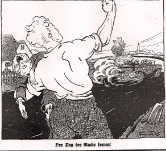 These are cover caricatures from 1927-1932, and are representative of the themes Streicher chose. 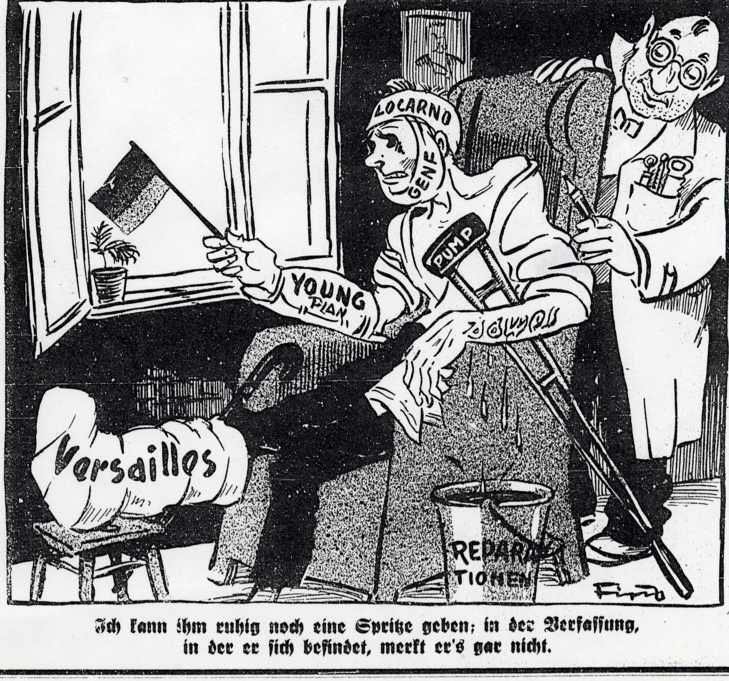 For further information, see a chapter from my book on Streicher. 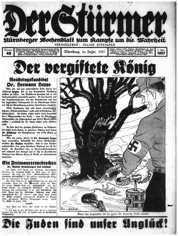 More material on Streicher is available on the 1933-1945 page of the GPA. 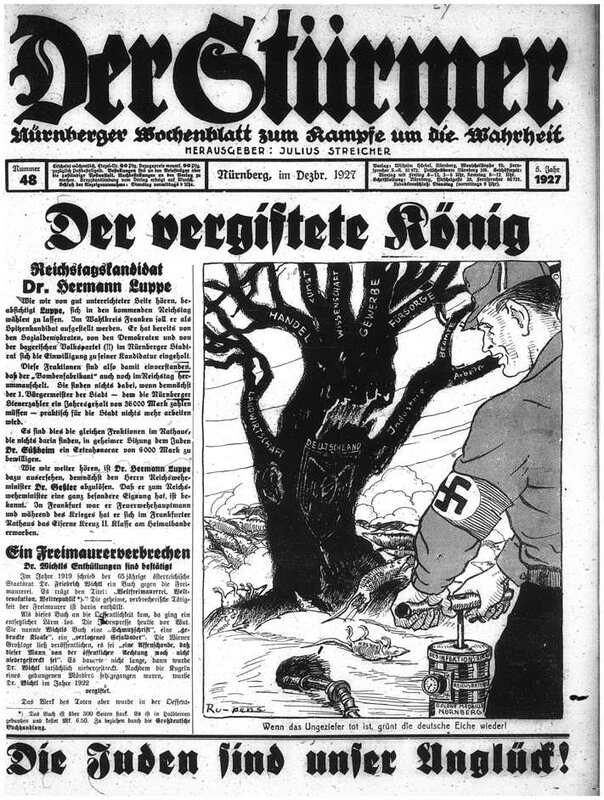 Explanation: A Nazi is pumping poison gas into the base of a tree, with dead rats representing Jews around the tree. 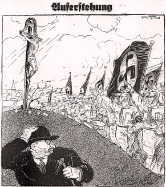 The rats are labelled “stock exchanges,” “the press,” and “trusts.” The branches of the tree, labeled “Germany,” are industry, agriculture, commerce, the arts, business, the sciences, social welfare, civil service, and workers. 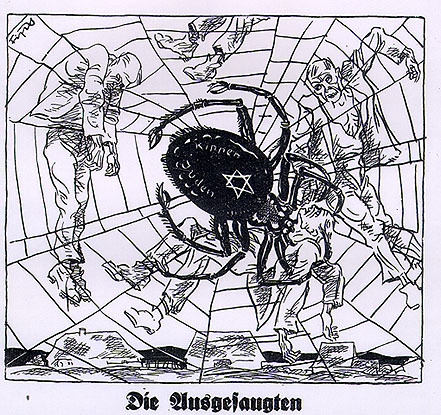 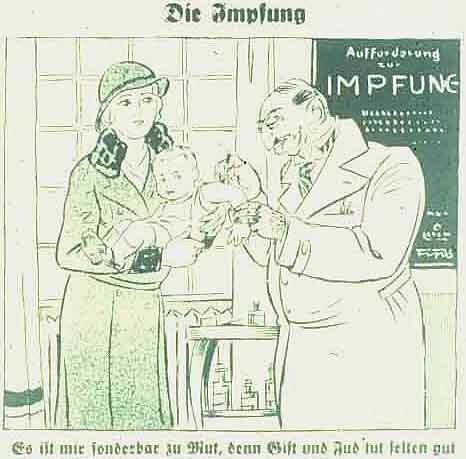 This is the earliest Nazi image I know of that suggests poison gas as a way of killing Jews, although Hitler makes a reference to that possibility in Mein Kampf. 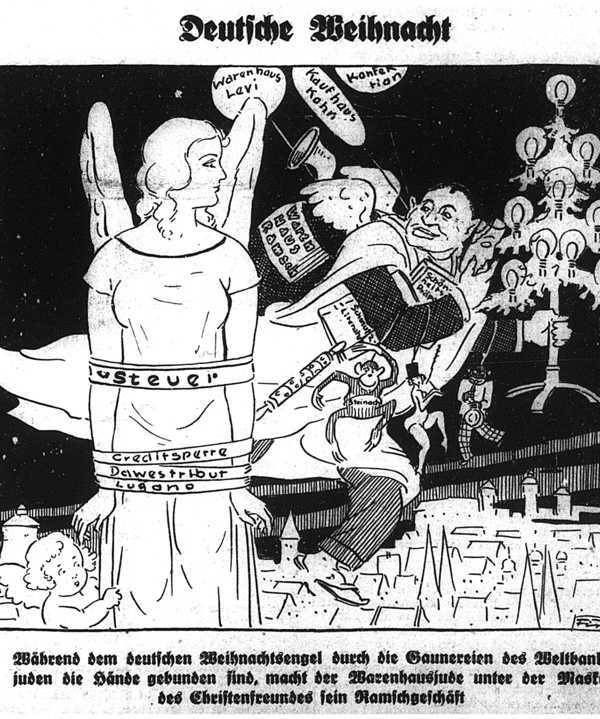 Explanation: The angel is bound by bands named taxes, credit stops, Dawes tribute and Lugano. 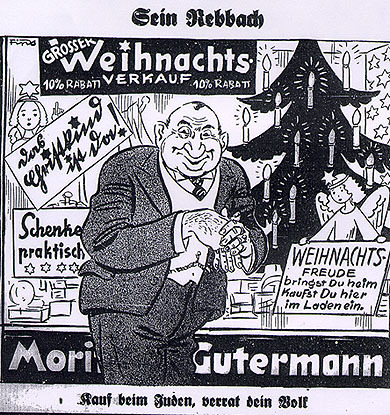 The Jew is selling beauty creams and pornographic books.